Sunday, June 3rd marked the 33nd AIDS Walk & Run Boston on the Boston Common. Thousands of people in Greater Boston and beyond signed up to raise money for the programs and services of AIDS Action, as well as start conversations with friends and family about HIV prevention, care, and advocacy. The grassroots efforts of these supporters are critical to AIDS Action’s goals each year, allowing us to continue providing our clients with critically needed services. 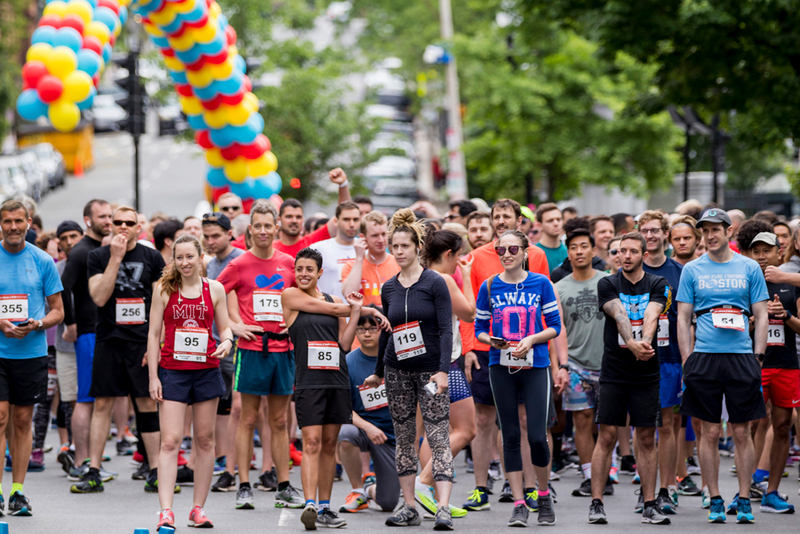 Last year’s AIDS Walk & Run Boston raised vital funds with the help from leading fundraising teams like The Ragon Institute of MGH, MIT, and Harvard and John’s Team, who displayed exemplary dedication in 2018 raising over $71,000, and $33,000 respectively. Other notable teams include Brown Middle School ($12,000), Divas & Devils ($12,000), AIDS Action ($13,000) and Grand Circle Travel ($10,000). The top five individual fundraisers in 2018 were Bruce Walker, Kelly Rush, Jonathan Urbach, Jim Haber and Warren Schur. Corporate sponsorship comprises a large part of AIDS Walk Boston’s fundraising goals, accounting for 20% of the funds raised. Whole Foods Market once again hosted our Wellness Festival to promote healthy living to our participants. Our friends at Macy’s also continued their matching donation program for self-pledges up to $20,000 made by AIDS Walk participants. In 2018, we welcomed new sponsors Dunkin’ Donuts, Heartbreak Hill Running Company, and Joint Ventures Physical Therapy and Fitness. 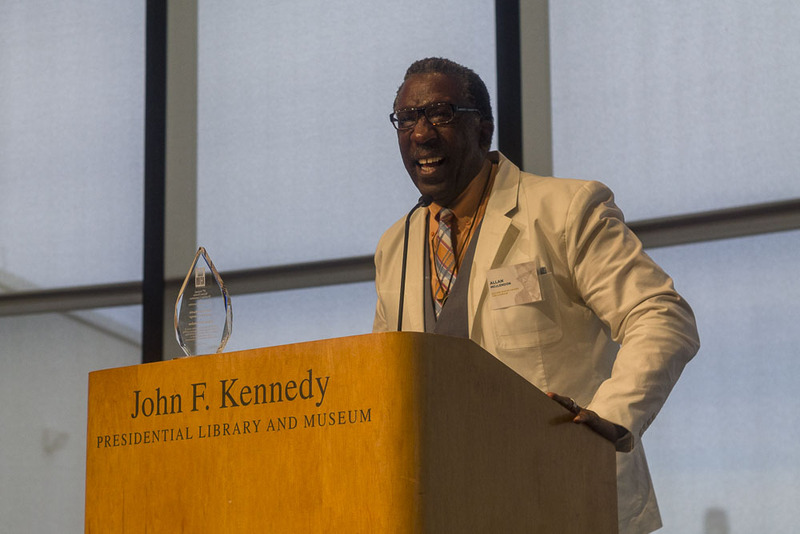 Dunkin’ Donuts, under the leadership of Dave Hoffman, received the Bette Byrnes Award which recognizes an individual or team that has promoted HIV education and awareness among youth. INspire Dunkin’s AIDS Walk fundraising team has raised nearly $25,000 over the past two years and their Joy in Childhood foundation has supported Youth on Fire with a total of $12,500 in 2017. Dunkins’ dedicated members have gone above and beyond, working hard not only support the agency but to engage and educate their team about the work of AIDS Action. On March 20, 2018, AIDS Action once again hosted a fantastic culinary adventure at the annual Taste of the South End event – a premier food and wine experience uniting the best restaurants the South End has to offer and the neighborhood’s commitment to fighting HIV/AIDS. Almost 1,000 guests from Greater Boston and beyond came out to sample delicious creations from the South End at the Boston Center for the Arts. Guests bid on an extensive 100-item silent auction throughout the room and enjoyed our popular Mystery Bags and Fling-A-Ring wine toss game. Thank you to all of our in-kind donors for the fabulous destinations, restaurant gift cards and prizes that raised over $20,000! To celebrate the return of ARTcetera in 2018, “A Taste of ARTcetera” surprised gourmands at Taste of the South End with an exhibit of AIDS Awareness posters from 1980s-2000s, a large scale interactive art wall, and artful Bombay Sapphire concoctions. Our success is owed to our fabulous host committee led by Douglas Spencer and Pia Thakore Miller. This fantastic year, which proved once again to be one of the best food and wine events in the city, was also made possible by our generous sponsor partnerships, the Boston community, and 40 amazing restaurants who support us in excelling in our fundraising goals in support of AIDS Action. Taste of the South End continues to impress, raising over $150,000 to help support AIDS Action’s critical programs and services. Since its founding in 2003, Harbor to the Bay, a 125 mile AIDS benefit bike ride from Boston to Provincetown has raised over $5 million for four local HIV/AIDS organizations, including AIDS Action. 100% of all rider-received pledges directly supports the programs and services of the organization. 2017 was the eleventh year AIDS Action has participated, with 62 riders and crew members raising close to $60,000, bringing our organization total to nearly $900,000.00 over the past 11 years. 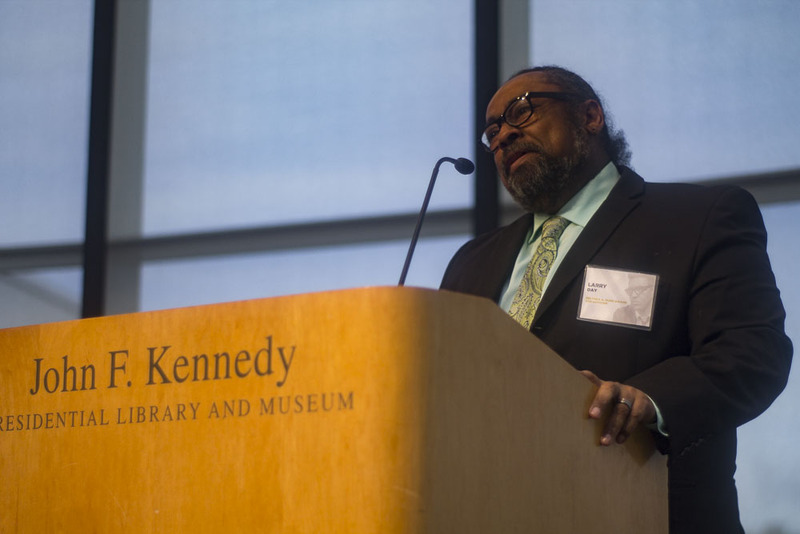 In 2018, the Bayard Rustin Community Breakfast celebrated its 29th annual gathering, exploring the theme Leaving No One Behind, Our Collective Responsibility. The Bayard Rustin Community Breakfast maintains a tradition of commemorating and celebrating the life and work of Bayard Rustin, one of the unsung heroes of the Civil Rights Movement. The breakfast recognizes the roles of individuals from LGBTQ communities of color in the fight against HIV/AIDS. The event featured a keynote address by Dr. Bisola Ojikutu, Assistant Professor of Medicine at Harvard Medical School and an Associate Physician within the Division of Global Health Equity at Brigham and Women’s Hospital. In addition to the Bayard Rustin Award for Courage and the Belynda A. Dunn Award for Activism, the event also recognized Tona Hines for her courage in sharing her personal story and Chair, Dwayne Steward, for his commitment to the breakfast and the community. Performances by Gordon Michaels and Sam Ou at the JFK Presidential Library and Museum rounded out the memorable program. A Boston Pride tradition, AIDS Action hosted the annual Chandler Street Block Party on June 9th immediately following the Pride Parade. Chandler Street Block Party draws over 4,000 revelers to dance and socialize outdoors in the heart of Boston’s South End neighborhood. The 2018 event brought in more than $100,000 to help fund the programs and service of AIDS Action and support local LGBTQ sports leagues. On June 8, 2018, the 22st Annual Scott Riklin Memorial Golf Tournament was hosted by the Riklin Family at the Juniper Hill Golf Course in Northborough, MA. Held each year since 1997 in memory of Scott Riklin, this grassroots event has become an important fundraiser for AIDS Action, with more than $90,000 raised to date. Special thanks to the event organizers, Jeff Riklin, Liz Reilly, and their generous supporters and donors.